ARMSLIST - For Sale: Kel Tec Pmr 30 Titanium 22 mag. 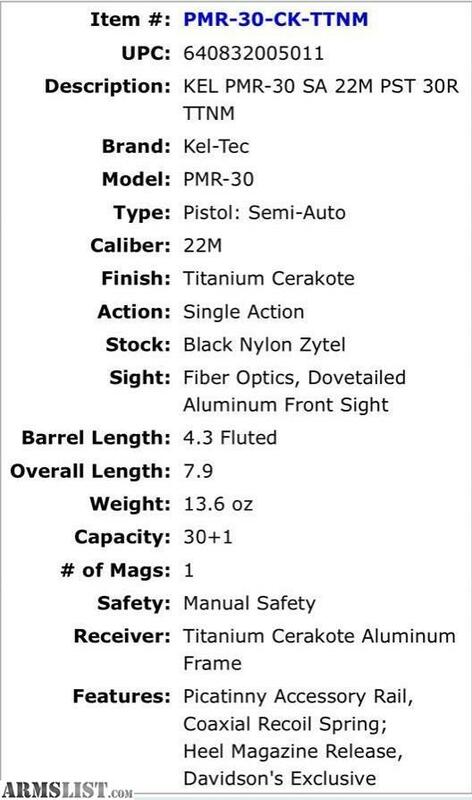 For Sale: Kel Tec Pmr 30 Titanium 22 mag. 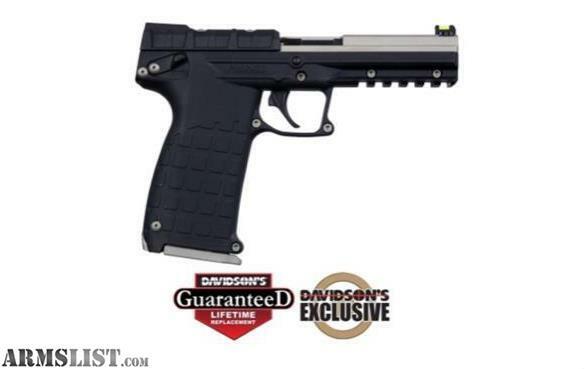 New in Box Kel-tec PMR30 22mag, Holds 30rds in the magazine. $399.00 Plus tax. Must Fill out 4473 and pass background check. Contact Jason at REDACTED. Please no calls or text after 8:30 pm. Thanks Rapid Fire Services. We will be at the OKC fairgrounds this weekend April 27th and 28th for the Claude Hall Gun and Knife show. May 4th and 5th we will be at the Buchanan's Gun and Knife Show. At the old crossroads mall. I-35 and I-240. ONLY $5.00 to get in. Easy parking and an antique mall upstairs. Remember we don’t have to be at a gun show, we do work by appointment during the week and weekends. Just give us a call or text. 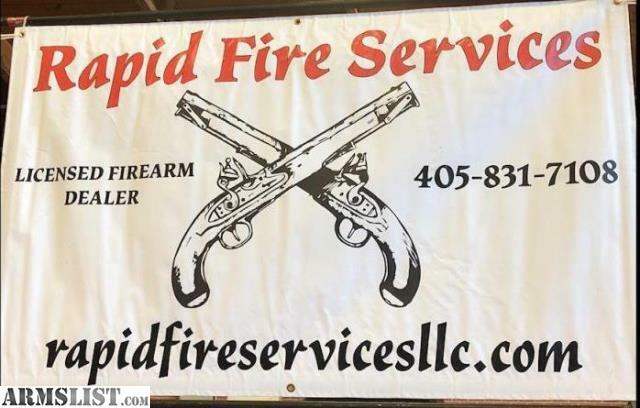 Rapid Fire Services LLC is a small, just getting started home based dealer. We have NO overhead that gets passed on to you. We'd rather sell more guns and get repeat business than try to make it all in one sale. Our careers pay the bills. We do this because it's what we enjoy. Although we can't always beat everyone else's prices we do our best. Our inventory will grow as we do. If there is something your looking for we are more than happy to find it for you. With a deposit we will get it ordered. Thank you for checking us out and helping us grow. Our website is up and working. But is work in progress. At this time we accept cash and pay pal. We are now shipping firearms, some restrictions apply. 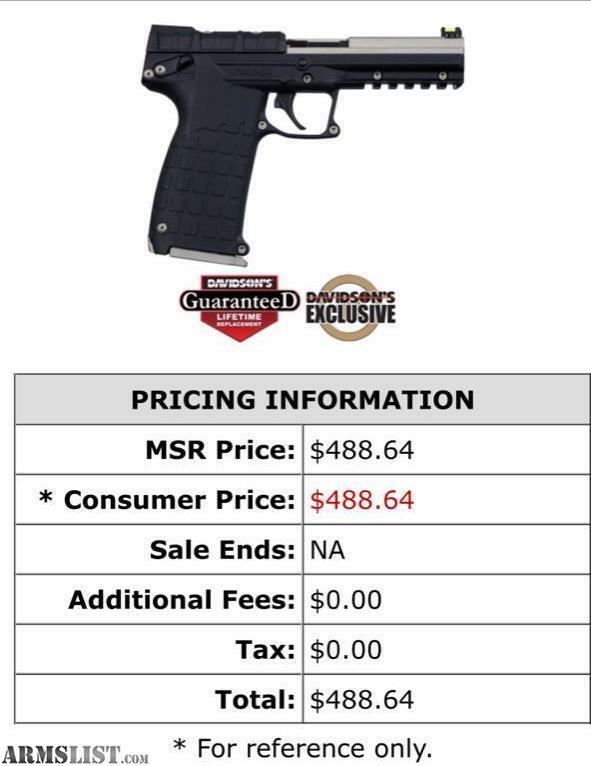 Most guns will ship for $20, We will discuss each gun and shipping options on an individual basis. All guns must be shipped to a FFL of your choice. You must have your FFL dealer e mail me a copy of their FFL. All shipping will be discussed on a one on one basis. We may not be able to ship all items to certain states. Our hours are in the evenings and weekends by appointment. All items sold in Oklahoma are plus tax. Must fill out 4473 and pass background check.